As can be seen above, the green areas are the performance range where the valve body is operating properly. 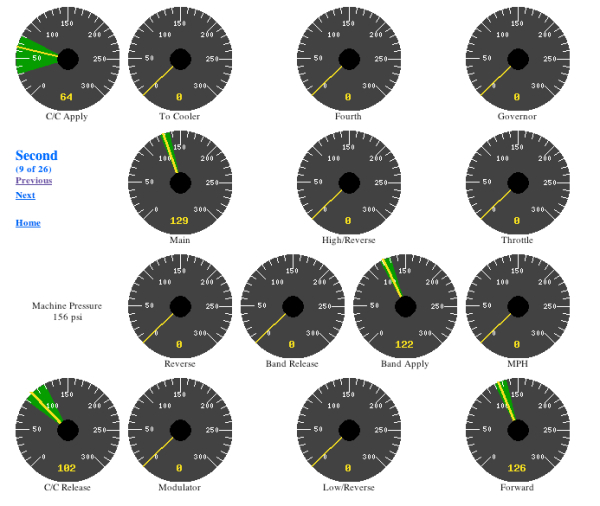 These areas are mathematically calculated based upon the performance of known good transmissions in our database system. These values are calculated by the servers at night and automatically updated so that the system gets better and better as time goes on. This makes continuous improvement automatic in our production process and effectively removes any guesswork out of whether the valves in your valve body are going to perform correctly when installed in your transmission.